So very pretty! Thanks so much for joining us at The Sisterhood’s ‘Make It Sparkle’ challenge and please come back again soon! This turned out so pretty Nish, I love the wood accent to top off the shabby chic feel. I'm really glad you created with us this week at Tuesday Morning Sketches! So beautiful, love the design and colors! 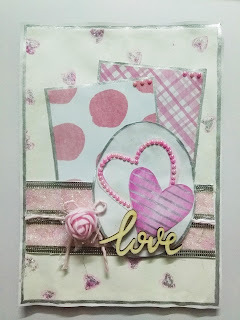 Thank you so much for joining in this month at my Crafty Wednesday challenge! Sweet Valentine's card. Thank you for joining us at Tuesday Morning Sketches. Such a pretty card! The wooden love is a sweet detail and I really like you paper choices. So glad you played along with my favorite sketch at Tuesday Morning Sketches. Wonderful card. Love your design. Thank you so much for entering our ATG challenge at Through The Craft Room Door this week. Looking forward to see you again next challenge. Beautifully done! Great papers and card design! 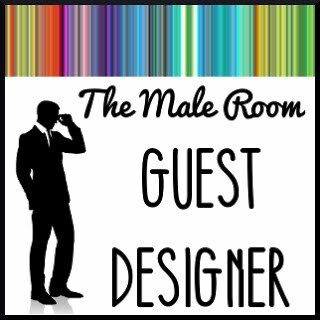 Thank you so much for entering the challenge at Through The Craft Room Door this week. Looking forward to seeing you again in the next challenge. Such a sweet Valentine's card! Love the bling heart best! 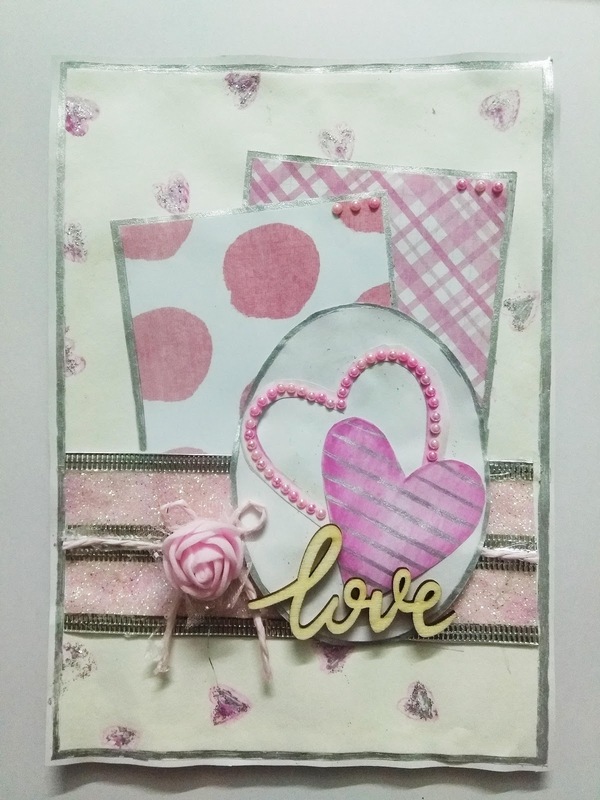 Thanks for sharing your card with the Sisterhood of Crafters. Hope to see you often in our gallery! Beautiful creation...Thank you for joining us over at Moving along with the Times..And good luck..Hope to see you again soon..
What a lovely, romantic card! 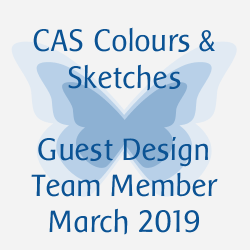 Thanks for joining the challenge at the Crafter's Cafe -hope to see you for our new challenge.